You know what I’m really enjoying about watching all of these X-Men films in close succession? The way they play with time. Characters are introduced in one film but not properly introduced, but then their story becomes clear in the next film. So here we are at X-Men Origins : Wolverine. Logan (Hugh Jackman) and his brother Victor (Liev Schreiber) are brothers who, from a very early age, discover they are both mutants who cannot be killed and don’t age (though I got confused on that, as one moment they were little boys, then they were adults. What’s that all about, aging?). The title sequence shows them fighting in a variety of wars over time, but Logan chucks it in when his unit begins killing innocents. He gets a quiet job in a forest, meets a girl and settles down. Then Victor turns up again, and things get nasty. Reading a bit about the reception of these films, this is the low point, but I disagree. 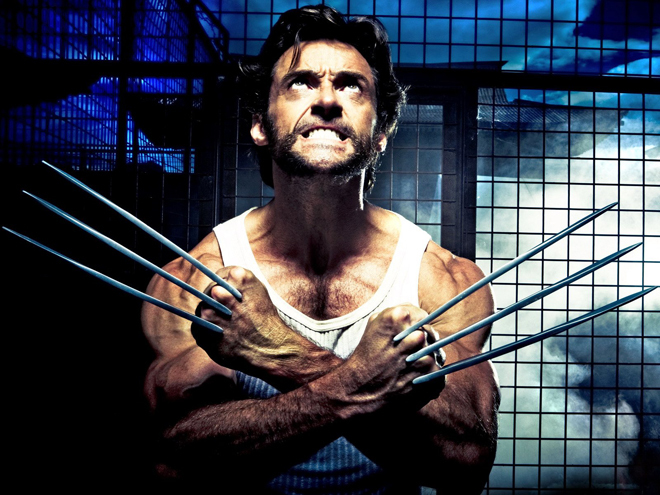 I really liked it – Hugh Jackman got to be brooding and angry and the bad guys got beaten in a way that didn’t quite negate the stuff that happened in the earlier films, which were actually later in the timeline of Wolverine’s existence. Cool fun.